Aries tattoos can be just as bold as the personalities they are designed for. Learn more about what makes the Ram tick and the kind of tattoos you can create to reflect these traits. Aries is labeled the Ram for more than one reason. People born under this astrological sign from March 21st to April 19th are the "can do" people. Simply put, they don't let anything get in their way. They tend to act in the moment based on the info immediately in front of them, and this gives them the reputation of being a bit hasty or impulsive at times. The fact of the matter is that an Aries doesn't have time to contemplate these labels because he or she has already moved ahead to the next obstacle or challenge that stands in the path. How does this relate to the world of tattoos? An Aries is most likely to decide to get a tattoo on impulse, because it seems like a good idea at the time. Once the deed is done, there's no time for remorse or looking back; the decision was made and carried out. Rams don't waste much energy on retrospect. This makes it all the more important to spend extra time considering ideas for Aries tattoos before committing to This makes it all the more important to spend extra time considering ideas for Aries tattoos before committing to ink. After all, why rush a good thing? The stories behind the Aries Ram is rich in imagery. Let us give you a condensed version. The original basis for the Ram lies in the story of two motherless children, Phrixus and his sister Helle. After their mother's death, their father, King Athamas remarries. As most of these stories go, the stepmother does not like the children and plots to get rid of them. Luckily for Phrixus and Helle, their mother was watching over them from heaven, and asked the god to send a golden ram to save her children from the evil woman and carry them to safety.Phrixus survives the journey, but Helle falls off and dies. It is Phrixus' next move that gives us some truly fantastic inspiration for Aries tattoos. Phrixus sacrifices the golden ram in thanks to the gods. The golden fleece of the ram is eventually hung from the branches of an oak tree where it is guarded by a ferocious dragon wound around the tree. Just think about the fabulous Aries tattoos that can be created using this colorful imagery. Here are few ideas. You might choose a simple golden ram done in metallic ink. You could picture the children being spirited away on the ram's back. How about a gnarled oak tree with golden fleece dripping from its branches? You could add in the dragon guarding its treasure and turn the entire piece into a full shoulder blade tattoo masterpiece. You might consider Aries tattoos that depict the constellation, connecting the stars to show the rudimentary outline of the animal. You could add the constellation's name to the tattoo to make it clearer to others what your body art is all about. 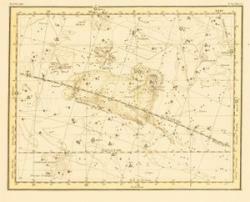 You might also choose to frame your constellation within the outline of the ram's body. 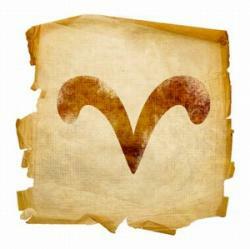 As with other zodiac signs, Aries has a corresponding glyph symbol. It is rather like a capitol V with the tip of each arm curling slightly out and downward. It definitely calls to mind the shape of a ram's head, and it would really look good inked on an ankle. A tattoo of planet Mars that can be spectacular by itself, with or without the word Aries added to the design. Why not take advantage of that dust storm imagery and include a swirling red tornado with your planet motif? You can even add your sign name into the twister's swirl. Having a god of war tattooed on your bicep could turn out to be rather impressive. 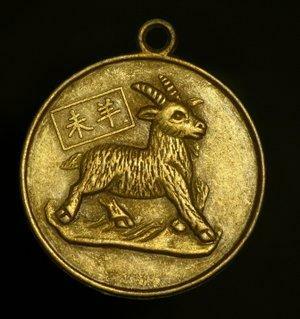 The Ram is also found in the Chinese Zodiac, so you can still use some of the basic imagery if you follow eastern philosophy. You might even decide that the Chinese calligraphy for this signs best suits your tastes, especially if you already have other Asian tattoos.